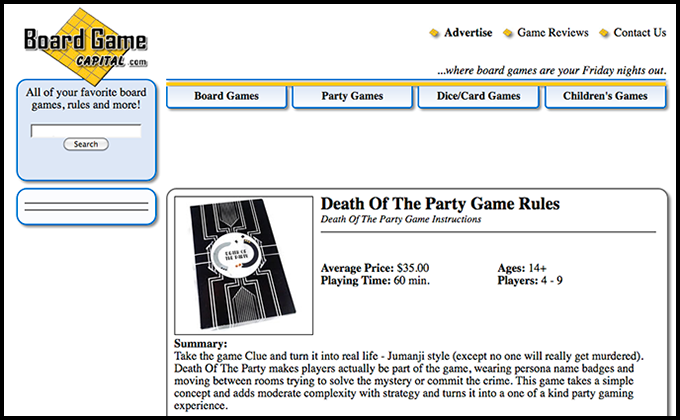 Death of the Party is a hidden identity party game that can be played by 4-6 people across two rooms, or by 6-9 people across three rooms. 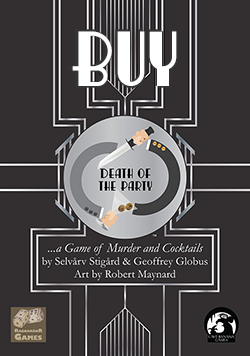 Each player takes on the Persona of a famous detective, and an Identity of either Partygoer or Killer. The (surviving) Partygoers win if they can identify and arrest all the Killers, but a Killer can win by committing murder and getting away with it. 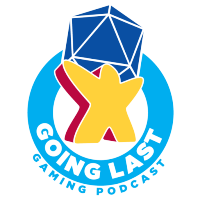 "There are quite a few social deduction games out there, but pretty much every aspect of this game and how it presents itself and plays through, it's definitely going to stand out amongst the crowd. We really enjoyed playing it." 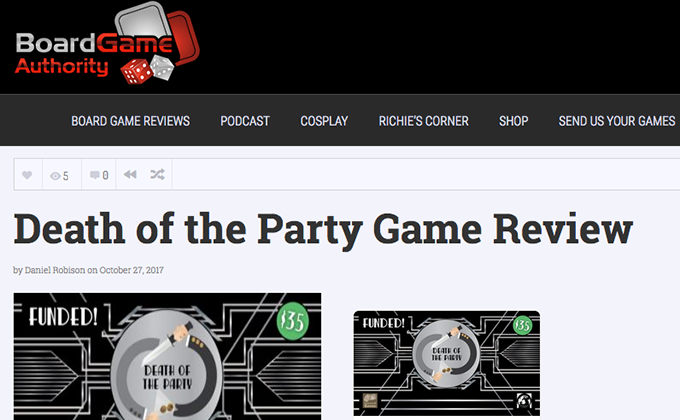 "We were a little skeptical about moving around and thought it would be a useless filler mechanic to the game. Oh were we wrong!" "I love the fact that we're seeing games that are trying something new, and this does that in a pretty daring fashion." "I think it's a clever version of this style of game ... and it looks fantastic." here's a copy of our Player Instructions. 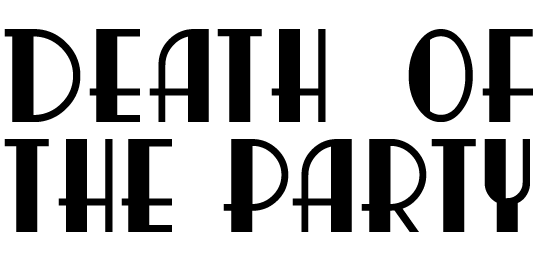 Death of the Party would not have been possible without our Kickstarter backers.